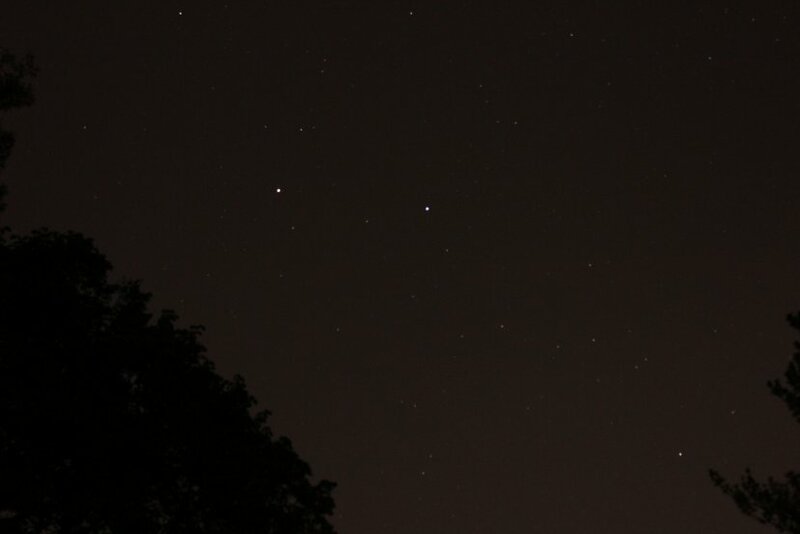 Photo of the Week.Saturn (left) and Spica hover above the trees, both watched by Gamma Hydrae down and to the right. Astronomy news for the week starting Friday, July 13, 2012. This is a superb week for the waning crescent Moon. 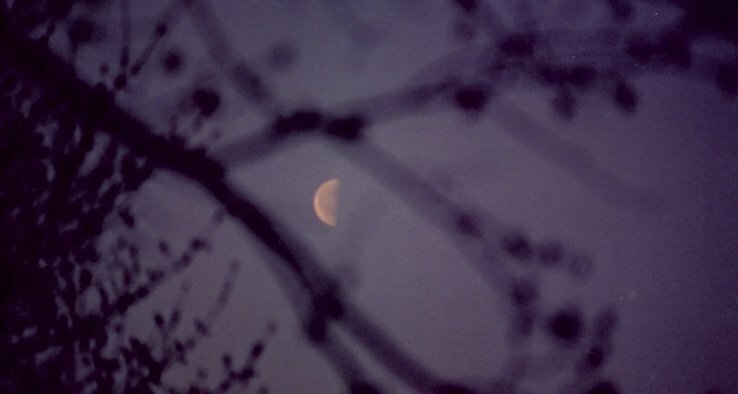 We begin just three days past the third quarter and watch the crescent thin in the morning sky until it disappears into the dusky light of dawn, the last view of it the morning of Tuesday, July 17, before it passes new on the night of Wednesday the 18th. A dedicated observer might then get a glimpse of the ultrathin waxing crescent the evening of Thursday the 19th. 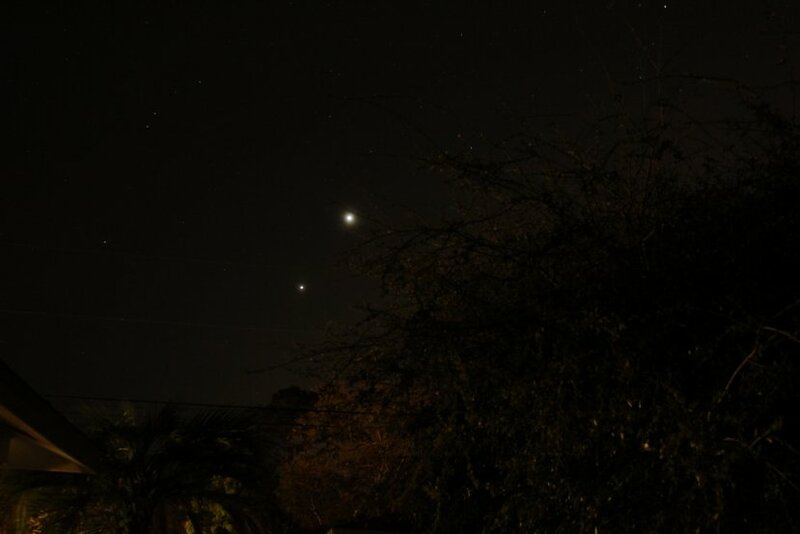 As it wanes, the morning Moon presents a series of marvelous sights as it goes by Jupiter and Venus, which remain stacked on each other, Jupiter (bright but notably the fainter one) on top. The morning of Saturday the 14th, the crescent will make a fine triangle with the Pleiades up and to the left, Jupiter down and to the left. The next morning the Moon will practically insert itself between the two planets with Aldebaran and the Hyades off to the right. 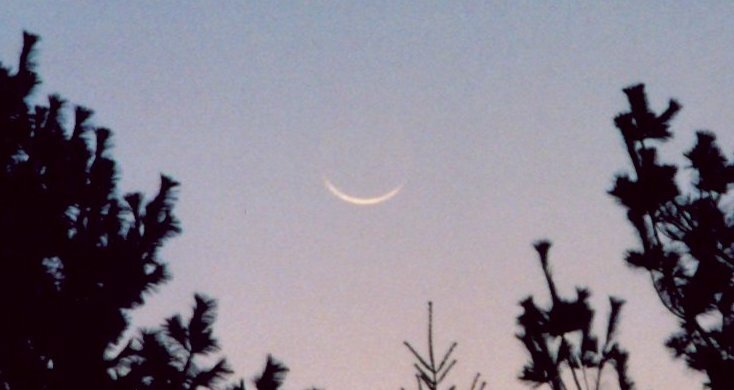 By the morning of Monday the 16th, you will see the very thin crescent down and to the left of the whole affair. 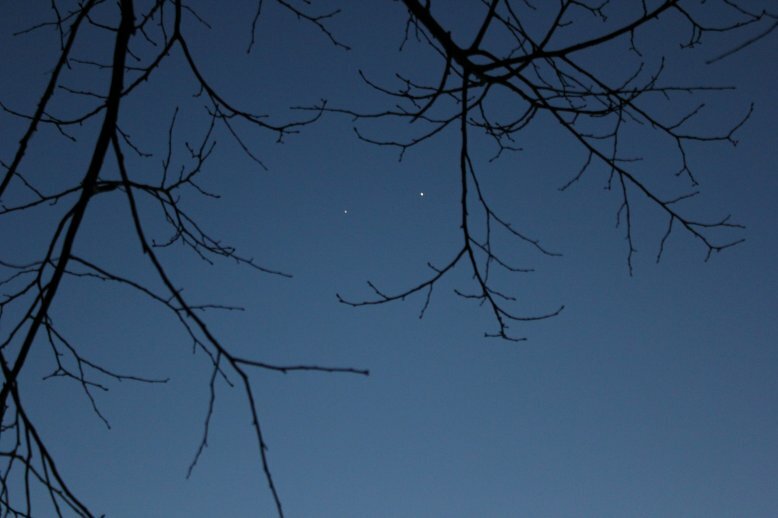 You can catch both Jupiter and Venus rising in the hour or so before the advent of dawn. The evening sky still has our reliable Mars and Saturn. Having left Leo behind, Mars is now much closer to Virgo's Spica than it is to Regulus. The result is a long, thin triangle made with the Spica, and to the north of the star, Saturn, which, like Mars, is moving to the east. Closer and faster, Mars will catch up with Saturn in mid August. But you have to catch them early, as Mars is down by 11:30 PM Daylight Time, Saturn an hour later, and of course they will disappear behind local obstructions well before formal setting. Farther out in the Solar System, nearly double Saturn's distance, Uranus (dimly visible in Pisces just northeast of the Vernal Equinox) begins its retrograde motion as we begin our week on Friday the 13th. Rising high in the early evening, find the three stars of the Summer Triangle: Vega in Lyra at the northwest apex, Deneb in Cygnus to the west and a bit farther north, then Altair in Aquila to the south. If in a dark location, follow the Milky Way south and a bit west to Sagittarius and Scorpius, the latter sitting on the deep southern constellation of Ara, the Altar. Extend the curve of the Scorpion to the northwest and you run into Libra, the Scales, whose brightest two stars, Zubenelgenubi and Zubeneschamali were once (and for that matter still are) the claws of the deadly beast. A farther look along the line brings you back to Spica and Saturn.